Global decor with international inspiration. Indian, African and Middle Eastern color and pattern. Design with a difference. Global decor with international flair for those with their own sense of style. Indian, African and Middle Eastern influences create a decor full of rich color and lively patterns. The perfect source for designers with confidence. Indian and Middle Eastern decor add rich color to your palette and wonderful patterns increase the interest quotient. From elephants to paisleys, you'll find inspiration for an exciting new decorating direction. Enjoy just a touch of the exotic. Crafted with a rattan frame and soft, oversized cushions, this easygoing chair transforms a sun room or cozy corner into a lounge-worthy spot. Kaleidoscopic tufts are an effortless way to get a just right bohemian vibe in your room. Hand-painted Talavera mask with iron crown on adjustable iron stand. Adjustable iron stand: 47"T to 80"T.
Each iron filament of the Prairie Mirror is carefully welded to the mirror's frame so that each piece is perfectly, evenly spaced. Then the frame is shaped into a 3D waving motion and an outer frame is added to the edges. Brass braising highlights the base of the glass and edges of the mirror. The Prairie Mirror is deceptively large at 46" diameter and makes a strong statement wherever it hangs. The Antigua Pillow is the perfect accent you’ve been searching for. Made from super soft cotton, this pillow is hand woven by an artisan group just outside of Antigua, Guatemala, using time-honored weaving techniques. Add a touch of tribal influence with the modernist style of this matte bust. Its chic facade exudes an air of sophistication and subdued glamour. 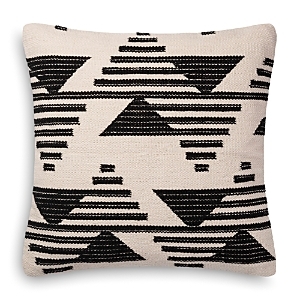 Designed by Joanna Gaines in collaboration with Anthropologie, this tasseled pillow features geometric patterns created by heavy, handmade weaving techniques. With an inviting look and feel, it makes any seat that much more cozy. Lukhasi grass. Swaziland With geometric patterning and contrast colorways, this woven throw pillow lends a sense of graphic bohemia to your space. Featuring a textured weave with varied patterns allover, complete with tassel trim at corners. With an architecture-inspired caged construction, this arm chair is made from curving strands of rattan with metal framing. Curving shape is comfortable + modern, set on a minimalist metal base with four legs Designed by Joanna Gaines in collaboration with Anthropologie, this hand-woven pillow celebrates coziness and craftsmanship with its beautiful colors and timeless texture. Caged rattan ottoman that adds architecturally bohemian style to your space. Featuring rattan strands looped together in a caged construction with a spiraled top and metal hairpin legs. Nikki Chu By Jaipur Living Lonyn Beige/White Geometric Down Throw Pillow 22" Jaipur Living Chilano Silver/Gold Ikat Poly Throw Pillow 18" Nikki Chu By Jaipur Living Kinnette White/Black Floral Down Throw Pillow 16" x 24 "
Borrowing from global motifs, this nikki chu throw pillow merges modern design with worldly geometric patterning. White diamond and striped embroidery lends eye-catching accent to the beige linen backdrop, while a gold zipper detail and black tassel decorate the front of this distinctive cushion. 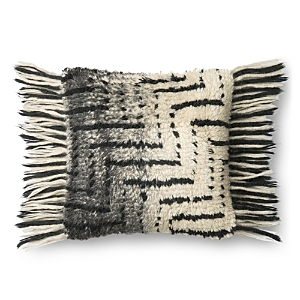 Contemporary hues meet globally inspired ikat motifs for a pattern-rich display on this contemporary throw pillow. Gold and silver embroidery adds a lustrous and textured touch to the beige cotton backdrop, while piped edges trim this boho accent. Embracing a pattern-rich scheme this stunning Nikki Chu throw pillow offers eclectic yet feminine style to contemporary spaces. White floral appliqués create captivating detail on the Art Deco-style black and white geometric backdrop, while coordinating flange adds a trimmed touch to this elegantly textured cushion. Nikki Chu By Jaipur Living Fala Cream/Black Geometric Poly Throw Pillow 16" x 24 " Museum Ifa By Jaipur Living Pueblo Black/Pink Ikat Down Throw Pillow 20" Nikki Chu By Jaipur Living Angelika Black/Silver Textured Poly Throw Pillow 22"
Stripes of geometric patterning create a global statement on this black and off-white Nikki Chu lumbar pillow. Whimsical tassels at the corners add bohemian detail to this chic accent. Showcasing a contemporary twist on Southwestern-style motifs, this contemporary throw pillow lends patterned appeal to whimsical living spaces. A chic colorway of white, black and pink complements the intricate tribal design, while pom pom trim adds a playful touch. Fun and perfectly patterned, this nikki chu throw pillow adds global charm to contemporary reading nooks and sitting spaces. Pom pom corners lend a boho touch to the tile-inspired embroidered design, while the black, subtly silver, and beige colorway complements a range of chic styles. Taking cues from the intricate, overdyed motifs of traditional Berber carpets, this room-anchoring perch lends a welcoming warmth to your living space. Whether filled with dried palm fronds or faux florals, this handcrafted vase is a statement-making piece anywhere in your home. Made in an ethical, fair trade environment and rooted in local tradition, this raffia and sweet grass wall hanging was hand woven by groups of women in small communities across Uganda. Each textural piece features a tag profiling the weaver who took weeks to craft the product by hand, and is ready to hang in your bedroom, study, or kitchen. Featuring an intricately woven back and leather-wrapped accents, this well-designed rattan seat elevates your sun room or living space. 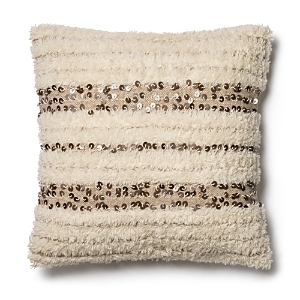 Mixing delicate tones with bohemian style, this embellished pillow is designed by Joanna Gaines in collaboration with Anthropologie. With hand-embroidered symbols and cotton tassels, it makes for a lovely addition to a soft, understated space. Ideal for soaking up rays from a sunny window, this natural rattan set brings the feeling of outdoor lounging inside. Brutalist iron centerpiece bowl with braised brass accent on edges. Sealed with a matte lacquer to retard oxidation. Not food safe. 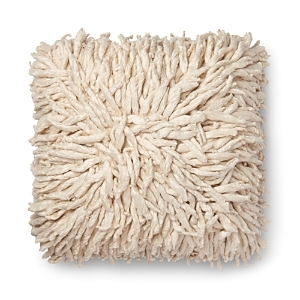 This textured treasure adds a subtle bohemian flair to any space. For a rich, saturated look, these kantha fabric throw pillows have been given an indigo dye treatment. Plush throw pillow with overdyed pattern in a soft textile weave with contrast stitching allover, made from remnant kantha quilts. The pillow you receive comes from a unique vintage assortment curated by our Urban Renewal team. Though similar to what’s pictured, it may vary slightly in tone + pattern. Minimalist geo-embroidered design. Cotton Cotton, acrylic, metallic thread The varying tones and lengths of spires create a multilayered look to this star burst, creating the perfect highlight for your wall. Glazed earthenware, seagrass Paper Handcrafted from natural Lukhasi grass, this basket serves as a functional decor piece in any space. Each totally unique, these durable cotton + hemp throw pillows feature woven patterns for an abstract, bohemian feel. Adds a one-of-a-kind element to any couch, bed or chair, each varying slightly in texture and color from what's pictured here. Part earthy and part feminine elegance, the Orion Jars will grace your space with complex matte textured neutrals. One of each is highly recommended! Textured throw pillow remade by our Urban Renewal team from vintage Turkish rugs, originally crafted between 1920 and 1980. With rich texture and pattern, these pillows reinvent a boho look for a new purpose, and bring a lived-in look to your favorite corners. Featuring cotton weave backing. The pillow you receive comes from a unique vintage assortment and will vary slightly from what is pictured in pattern, color + wear. Vintage-look woven wicker chair, found exclusively at Urban Outfitters. Made from bamboo + wicker, with a cylindrical stand + rounded back with a bound construction. Cotton, wood A flock of birds lends a graceful flutter of style to your walls on its own or as an accent to your art gallery. Instantly add some boho charm to your couch or bed with this geo tufted bolster pillow in a patterned weave with pom trim to complete the look! The minimal-boho throw of our absolute dreams, topped with tufted geo patterns + oversized tassels at the sides. Adds extra warmth + a decorative finishing touch. Rounded cone-seat chair for retro boho vibes. Twisted strands form a super comfy seat that’s just the right place to curl up with a good book. Strung along a structured metal frame with thin legs. Rattan-wrapped earthenware enlivens your room with airy elements from the outdoors. Earthenware, rattan Tufted floor pillow in a soft knit that comes in so many rich tones to choose from. Featuring a textured, knit top panel flanked by a durable canvas weave. Oversized square silhouette is perfect for sitting with on the floor, a bench or stacked together. Boho meets modern with this caged rattan chair. Featuring curving rattan frame with caged strands forming back + seat in a linear design. Curving, looped arms are bound and set on a thin metal base with four legs. Alternating bars of black and cream create a captivating pattern on this textured cotton throw pillow. Inspired by global motifs, this plush accent adds visual intrigue to any modern space This woven wall art adds calming, global charm to your living space. A three-dimensional sculpture hand-carved from a solid piece of marble. Handmade cotton, raffia Colorfully striped and trimmed with tassels, this woven throw is an instant favorite for time spent cozying up on the couch. A modern twist on the classic polka dot, this charmingly handcrafted vase lends a touch of fun to single buds or floral arrangements. An impressive free formed organic shaped sculpture is finished in deep bronze tones and stands on a raw white marble base Offering an abundance of luxurious textures and a natural color palette in cream and tan, this invitingly chic pillow is designed by Joanna Gaines in collaboration with Anthropologie. Long shag, irregular stripes, and a Moroccan diamond motif contribute to its worldly appeal. Handcrafted aged mirror. Can hang vertically or horizontally. Nikki Chu By Jaipur Living Florian Black/White Floral Poly Throw Pillow 22" Brisbane Basket Museum Ifa By Jaipur Living Yuma Orange/Black Geometric Poly Throw Pillow 14" x 20"
Embracing a pattern-rich scheme this stunning nikki chu throw pillow offers eclectic yet feminine style to contemporary spaces. Scrolling gold floral embroidery creates captivating detail on the pixelated black and white cotton backdrop. Handcrafted from natural banana fibers, this globally inspired basket is perfect as a decorative, yet functional piece in any space you choose. Showcasing a contemporary twist on Southwestern-style motifs, this chic throw pillow lends patterned appeal to whimsical living spaces. A dynamic diamond pattern in orange, red, black and white makes a graphic statement on this chic lumbar cushion.